It’s not quite true to say that BFD is a TNA, but many have been saying it’s the new LOL. BFD as an abbreviation meaning ‘Big F***cking Deal’ (language cleaned up because I know my mother reads this blog) is not new. But it has recently emerged into political discussion in America, thence onto Twitter and is now being touted by linguists as the next big things in abbreviations. Of course, I’m not actually sure there is a next big thing in abbreviations. Linguistics isn’t showbiz, sadly. It would be nice to imagine that the abbreviation police are trawling the internet and that as soon as they come across this blog and TNA (Trendy New Abbreviation), the metaphorical trumpets will come out and it will start to adorn all short-form communication within minutes. But I digress, badly. Two years ago, US Vice President Joe Biden said that Barack Obama’s healthcare bill was not just a big deal, it was a “big f***ing deal” (hopefully my mother is still reading, you see). 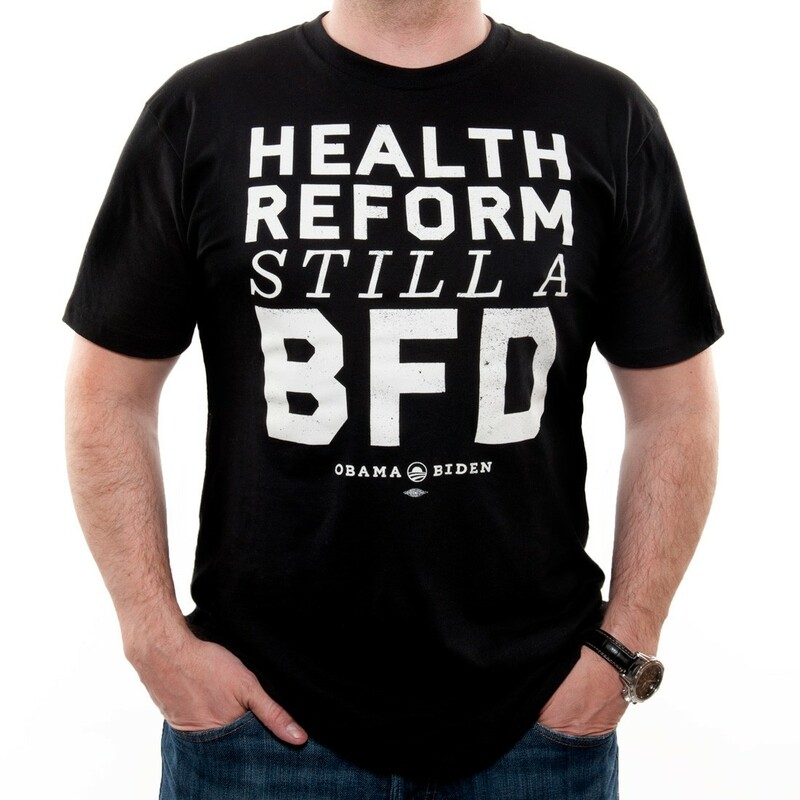 And with the bill recently being upheld by the Supreme Court, the Obama administration has taken to selling suitably emblazoned BFD T-shirts, (for a BFP, incidentally). The Romney campaign has criticised the behaviour as unpresidential, and the Twittersphere has gone crazy with BFD-related postings. So the debate has been about whether BFD will become as well established as its elder statesmen, with LOL cited as as the one to beat, which begs the question of what David Cameron might believe BFD stands for. The article hyperlinked above says that the jury is still out, and quotes linguist Allan Metcalf and his scale to decide whether the word will last. The scale awards marks of 0, 1 or 2 for each of five categories: frequency of use, unobtrusiveness, diversity of users, ability to generate related neologisms, and endurance of the concept it describes. Mr Metcalf gives BFD a paltry three points in total, suggesting it is au revoir to BFD. I’m not so sure. I think the process of new word acceptance is beginning to change, thanks entirely to the internet. The article mentioned above says this process has not changed for a number of years, and that it takes time for a new word to bed in and get established. But with the power of global communication, and the velocity with which things become cemented on Twitter and other social media, new words and ideas now become part of the fabric of society substantially quicker. The abbreviations we now take for granted are all children of the texting age, a period that is no time at all in the entire history of human language. It would not surprise me at all if the current popularity of BFD is a long-running thing, and it becomes just as established as all the others. And then we’ll just be saying that the debate was a BFD over nothing. Have You Ever Made a Throne Call?